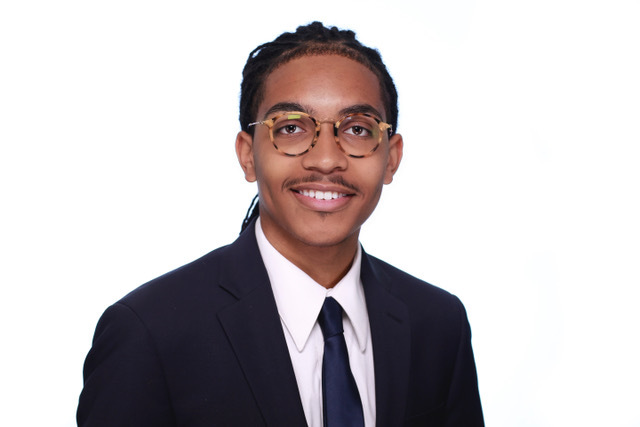 Morehouse College Stamps Scholar Jared Bryson wants to change the way the world uses natural resources. Bryson grew up in Bolingbrook, Illinois, and attended Plainfield East High School, where he was involved with Student Council, Key Club, DECA, and varsity basketball. Attending the Leadership, Education, and Development (LEAD) Summer Business Institute at Duke University before his senior year of high school influenced his decision to study business marketing or finance as well as to minor in environmental science. Before starting college, he participated in a pre-freshman program and took a philosophical ethics course, which sparked his interest in the field. Conversations he had with upperclassman and faculty that summer led him to change his major to economics. He said that so far, his most memorable college experiences have been “the conversations I’ve had with some professors as well as some of my peers. They make me recall that I still have a lot to learn.” After a few weeks studying elementary Chinese, he knew he wanted to become fluent and decided to minor in Chinese studies. In fact, his interest in Chinese culture stems from watching kung fu films. During his first year at Morehouse, he was a member of the Morehouse Business Association; the Finance Investment Club; the MBA Protégé Program; The Morehouse Book Project, an initiative that promotes and creates discussions around black literature; and Purpose Driven, which exposed members to community development through real estate workshops. He also served as the treasurer for his freshman dormitory. Besides preparing him for a career in business, Bryson says these organizations challenged him intellectually and forced him to think about new ideas and paths. Off campus, he served as a Living in an Energy Crisis thread leader for the Stamps Scholars National Convention this past spring in Atlanta, Georgia. He also participated in Sponsors for Educational Opportunity and is a member of the Collegiate Chapter of 100 Black Men of Atlanta. In his free time, he enjoys listening to music, reading, photography, and practicing calligraphy. Bryson has used his scholarship enrichment fund to travel the world. During J-mester, the latter part of winter break at Morehouse, he participated in the college’s Pan-African Global Exchange program in Cuba. He found the African roots of Cuban culture fascinating. During this past spring break, he traveled with a group of Morehouse students, faculty, and staff to Haiti and completed several micro service projects as well as learned about Haitian culture and history. This past summer, he studied abroad at the University of Science & Technology Beijing in Beijing, China. In the future, he would like to use the rest of the enrichment fund to travel to Brazil, Italy, a different area of China, Japan, West Africa, and South Africa. These international experiences serve as opportunities for exposure to cultures that are of interest to Bryson and also are countries in which he would like to learn the local languages. His goals for the rest of his college career are to create and maintain a pipeline between his high school and Morehouse, to build a scholarship with his high school, and to contribute to the improvement of the Morehouse Business Association and Protégé Program. On a personal level, he plans to maintain a high level of academic performance, read a variety of books, and further develop his artistic abilities and passions. His long-term goal is to change the way the world uses natural resources. Currently, he is considering beginning his career in financial services or consulting and obtaining any combination of an MBA, JD, or Ph.D. in economics. More importantly, he said he plans to continue learning, giving back to those who contributed to his success, and helping communities in need. He also said it would be neat to own an NBA team down the line.